There’s never a shortage of things to do in Austin, but sometimes you need a little Hill Country to center the soul. 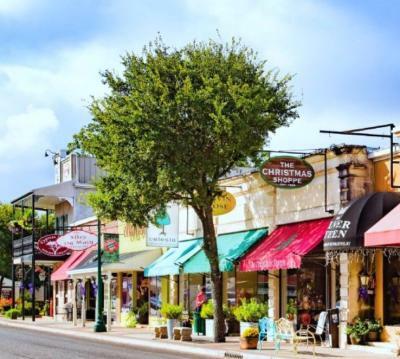 Enter a short road trip to Boerne, Texas, whose quaint, historic downtown, dubbed “The Hill Country Mile,” will give you your fill of hometown hospitality, modern and traditional fare with flair, and lots of retail therapy. Bring the kids for a little hiking and fishing along the trail system, just steps away from all of the Hill Country Mile’s amenities, or take a walking tour of Art al Fresco, Boerne’s collection of outdoor sculptures. Don’t worry if you’re feeling overwhelmed by all this big little city has to offer: Boerne created this handy Hill Country Mile guide so you can plan everything you want see, do and eat before you get here. And, as if you needed another reason to load up and head out, May 12-15 is “More Than Just a Mile Weekend,” where eateries and shops will welcome you with special discounts, treats and unique finds, making it a great time to explore all weekend long! It all kicks off May 12 at the monthly 2nd Thursday event featuring late-night shopping and fun at more than 20 stores.